I have had the distinct pleasure of being able to sample Chef Tony Krause’s food several times now. I must say, I am a fan. Chef Tony was at Privada in St. Albert. He went on some adventures to further his culinary skills, including some foraging in BC. He came back to Edmonton to open his own restaurant, “The Salt Room”, which unfortunately did not come to fruition as Mother’s Market ended up closing due to unforeseen circumstances with the building. That didn’t stop Chef Tony! Chef went back to Privada and met with the owners, and is now back at Privada with a new menu! Privada has always been focused on in-house charcuterie. Chef Tony has an incredible talent of pairing flavors to make the ultimate taste experience. Privada also focuses on locally produced food, and as much as possible is made in house. You will see some of the preserves displayed on the shelves and charcuterie curing in plain view. Chef Tony also adds foraged food to the repertoire with things like Untamed Feast wild mushrooms. 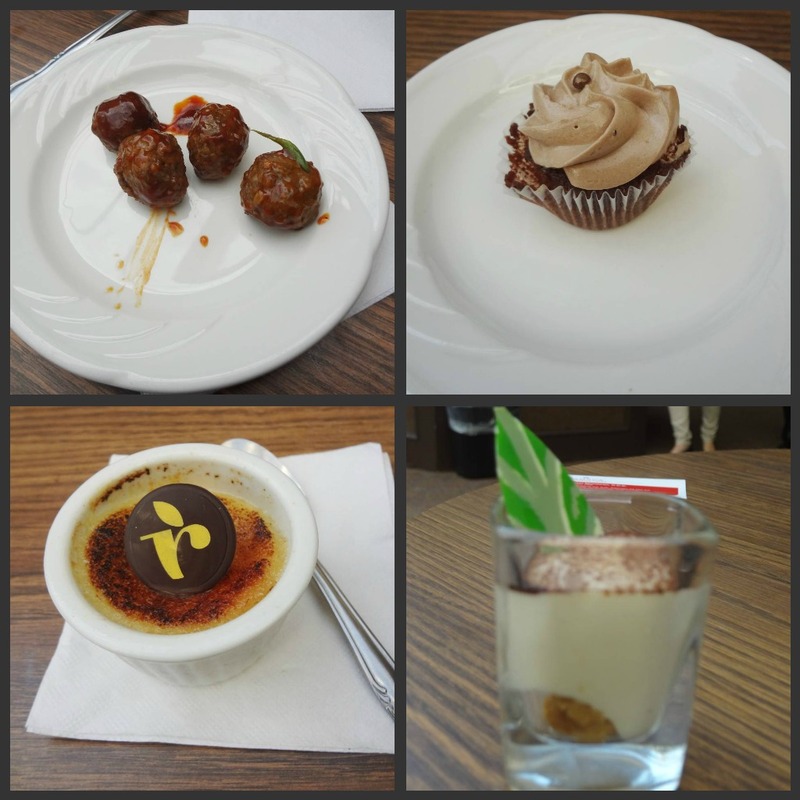 Kaylen was lovely enough to invite me to sample the tasting menu at Privada. I had just been a few weeks previously for a special pop up dinner for my second wedding anniversary, which we enjoyed every second of! I was excited to see what would be on the new menu with Chef Tony at the helm. Privada and Chef Tony never disappoint! The tasting menu is a 5 course affair that will cost you $60. It is only available Wednesday and Thursday. Make time for a date night, I highly recommend it! I ended up switching tables in the middle of my dinner to join some other friends and unfortunately I missed out on a course which was Corn Succotash Pasta. What I was able to sample was obviously made with passion. Each dish attractively plated; the pork fritter was served on a heated rock that Chef foraged from a river himself. How cool is that? Scallops are a hard dish to impress this BC girl with, but Privada did not disappoint. They were cooked perfectly and the shaved truffle was delightful. Chef Tony has worked with Oceanwise so he is aware of seafood sustainability which was also nice to hear. Kaylen and Kaylan are wonderful hosts. If you have ever wanted to learn more about wine, this is the place to go. Kaylan was kind enough to show off the Coravin Argon system which basically lets you sample the wine from the bottle without actually opening it. Pretty neat stuff! Privada will be able to provide you with a glass of wine versus the entire bottle which is great in the books of this light weight drinker. When I told my co-workers that I was going to sample a “coffee-wine” the looks on their faces were absolutely priceless. They were a mixture of disgust and curiosity. In 2006, a lovely lady by the name of Ingrid was visiting her family in Columbia. She discovered a coffee infused wine called “Cafvino”. It was unlike anything that she had ever experienced. She wanted to share her passion with the world. 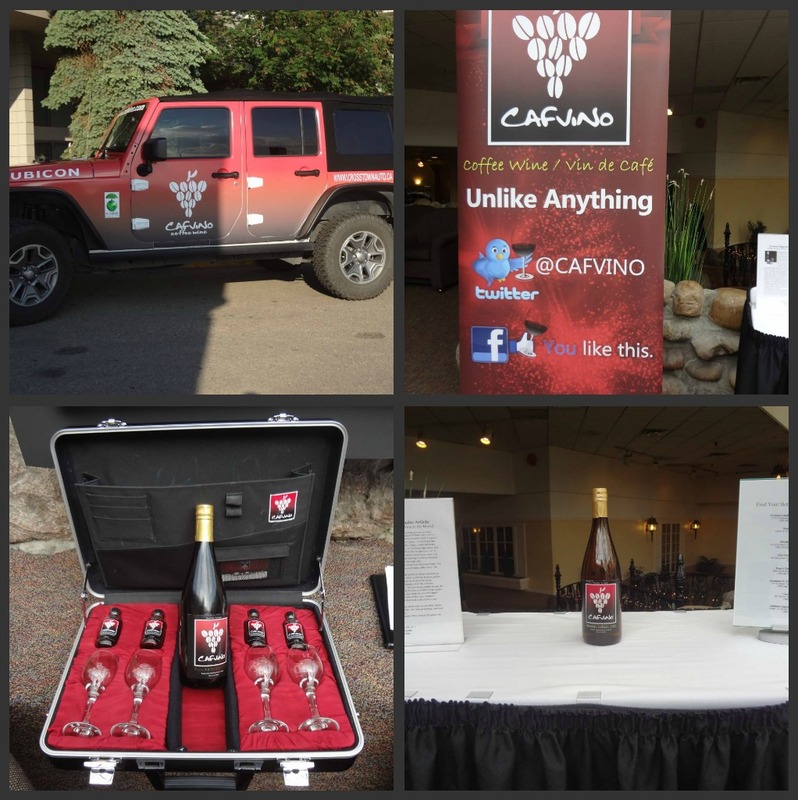 Six years later, she was finally able to bring Cafvino to St. Albert, Alberta and share her treasure with Canada. It was an honour and a pleasure to be able to share in Ingrid’s passion at the Cafvino VIP event. I was able to meet both Ingrid and Carlin and a number of Twitter folk from Edmonton and area. Great product – great company! The goal of the event was to show the versatility of the product. What exactly does coffee infused Cafvino pair with? Absolutely everything! Executive Chef Harjeet Mehdwan was able to strut his stuff and show off exactly what Cafvino can do to create savoury meatballs and decadent desserts. The meatballs are a customer favourite on the menu at the Ramada Kingsway. Cafvino’s balanced flavours make it very versatile to use in savoury sauces. The desserts are that much more decadent with the hints of coffee flavour enticing your tastebuds. Cupcakes were made by “Cakes by Candace”. Chocolate, wine and coffee. Perfection. 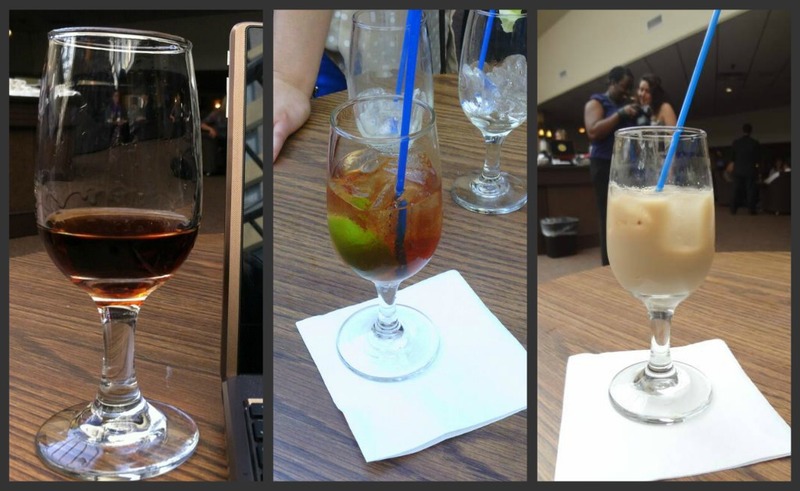 We were also treated to three cocktails made with Cafvino; the Paralyzer, the Raspberry, Cafvino and Cola. As our lovely hostess was making her rounds, she made sure that I got to try a sample straight. I may not be that educated about wine, but I do know my coffee. Even the aroma is decadent. You can smell the sweetness of the wine and the darker smells of the Colombian coffee. The taste is something that is difficult to express in words. The wine is sweet, but not overly so. It reminded me of a really good ice wine. The coffee infusion is just right. It is a marriage made in foodie heaven. As I was chatting with Carlin later on – he asked me which of the cocktails was my favourite, I could honestly answer him with “straight”. I was delighted to discover while doing my reading before attending the event that Cafvino is carried at my favourite liquor store – Sherbrooke. (The only liquor store in Edmonton in my opinion!) Sherbrooke was one of the very first liquor stores on board to help spread the Cafvino love! So you need to go and visit their website, read Ingrid’s story and find out where you can purchase this decadent taste experience. They have cocktail recipes listed on the website, but I would encourage you to use your imagination and experiment. Cafvino truly is like nothing else. Keep your eye on Schifer imports. I know I am excited to see what they are able to tantalize us with next!